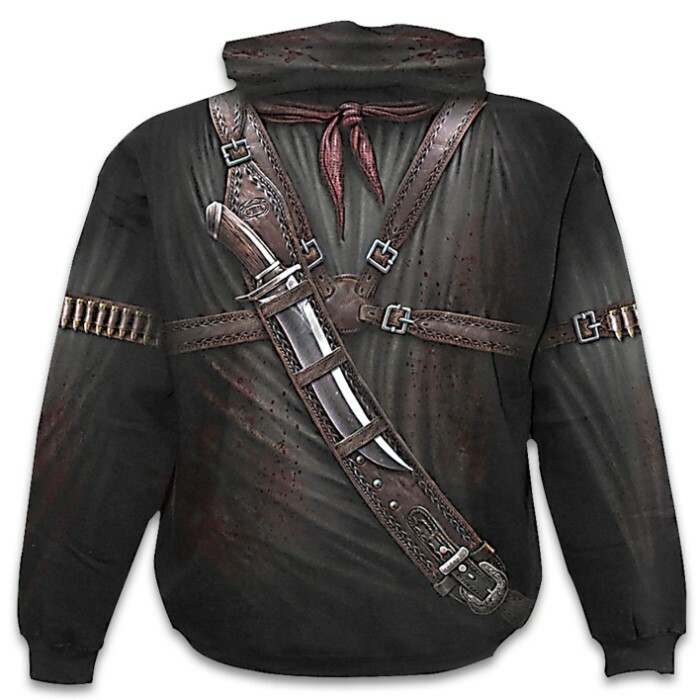 Black Holster Wrap Hoodie - Cotton Fleece, Vivid All-Over Artwork Extends Up Into Hood, Azo-free Reactive Dyes | BUDK.com - Knives & Swords At The Lowest Prices! A design for the outlaws and the vigilantes - complete with twin pistols, bullet belts and a sheathed bowie knife for any unexpected ambush. Tool up for the Apocalypse! 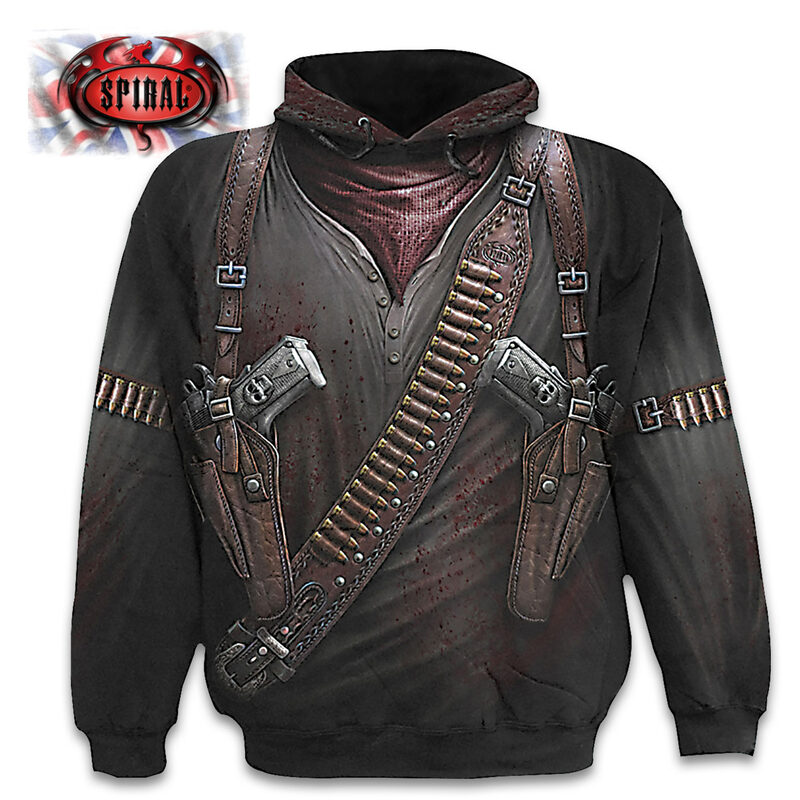 The black, hoodie is completely covered in the vivid, original artwork, using skin-friendly, Azo-free reactive dyes. The artwork is extended to the hood, as well. The shirt is made of top quality 100 percent cotton fleece and is available in sizes large, 1XL and 2XL.